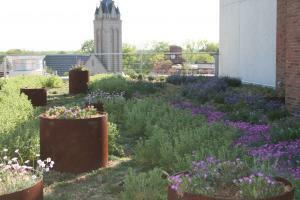 East Coast native plants, sedums, reclaimed metal containers and a bluestone patio make up a rooftop garden for students, faculty & special events. Flowers and grasses add special interest all year long. 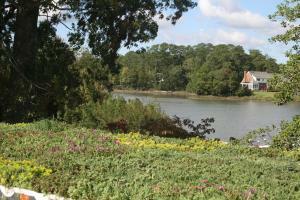 Environmentally conscious home with a wrap around view of the Lynnhaven River in Virginia Beach, VA. 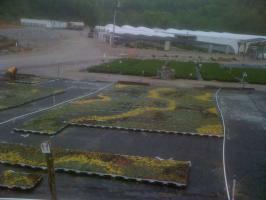 Installation in October 2011 with Live Roof modular greenroof system on 2nd story rooftops surrounded by multiple decks. Architect Patrick Farley Watershed Architects, Richmond, VA LEED platinum. 125 Square foot interior living wall of tropical plants. 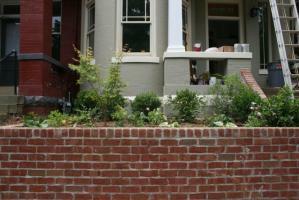 The wall is watered by drip tubing that runs throughout the wall and is set on a automatic timer in a LEED Gold home in the fan near VCU. 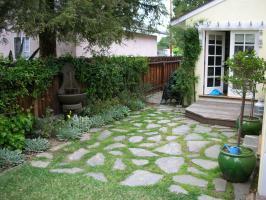 This work was done for a family in Sherman Oaks, CA to establish several outdoor rooms for relaxing and entertaining. The plants were chosen for their drought tolerant, low-maintenance qualities, and the family needed a design that would also be child friendly. The finished work created an outdoor dining area, a restful lounge area, and playful planting beds with lots of colors and textures.